Quality products mean quality results. To ensure you receive a reliable and long-lasting water well system, Holland Water Wells uses only the best products from start to finish. Holland Water Wells is proud to be one of the pioneer companies in Central Alberta to use plastic PVC well casing. Every well is constructed in accordance with Alberta Environment and Parks' ministerial act. We are an authorized Grundfos dealer and carry a wide selection of other top-of-the-line pumps. We use brass and stainless steel fittings because they resist corrosion. Holland Water Wells can supply everything to get water from the well to your pressure system – and everything in between. 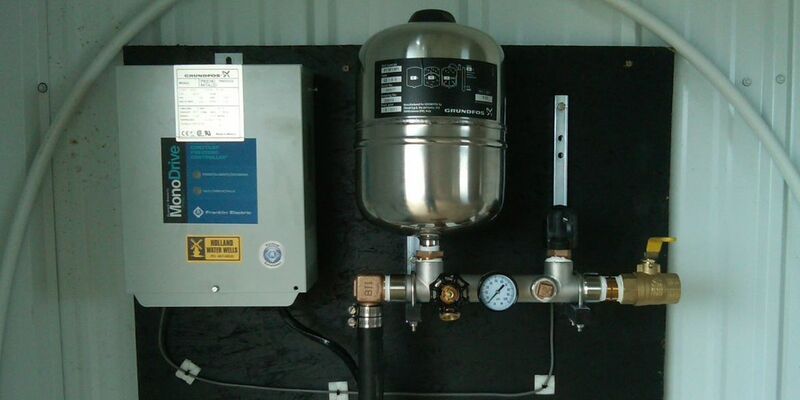 We are an authorized Grundfos dealer and specialize in VFD constant pressure systems.